Specialists in Irish Dance classes for all ages and levels, performance group available & studio for hire. Cameron Ballet Academy provides dance tuition in studios located in Auckland in the West Harbour and Hobsonville areas. We teach with a positive and dynamic approach and aim to assist each student to reach their full potential both technically and artistically. Above all, we aim to inspire a love and appreciation of Dance. Ballet, tap, modern jazz, freestyle jazz, hip hop, acrobatics and contemporary dance classes in Pakuranga. Ballet, theatre and contemporary dance classes in Mount Eden, Grey Lynn and Remuera areas. Contemporary creative dance classes for children 3 years and over in Onehunga. Ballet, jazz, contemporary, tap, hip hop and preschool dance classes in Birkenhead. Preschool, ballet, jazz, hip hop, contemporary, tap, body conditioning and competition dancing classes in Glen Eden. Breakdancing, hip hop, jazz, dance acrobatics and ballet classes in Albany and Pakuranga. The Palace Dance Studio only teaches hip hop dance and children can learn from some of the leading choreographers in New Zealand! They cater for all ages and all levels at their studio in Penrose. Tap, ballet, jazz, lyrical, contemporary, limbering and preschool dance classes in Henderson. Preschool, ballet, contemporary dance, musical theatre, jazz and hip hop classes, as well as classes that specialise in learning armed and unarmed techniques to master theatre, film and television fighting scenes. These skills are imperative for kids who are serious in ballet, opera or acting. The tap classes offer routines sketched from the one and only Gene Kelly! Ballet, jazz, hip hop, contemporary and preschool dance classes. 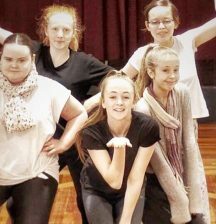 National character, ballet, jazz, tap, hip hop and lyrical dance classes in Glenfield. 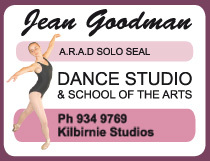 Ballet, preschool, jazz, tap, hip hop, Irish, cabaret, contemporary, freestyle and cheerleading dance classes in Glen Eden. Preschool, hip hop, break dancing, street dancing, ballet, jazz, acrobatics, tap and fitness dance classes in Te Atatu. ​Jazz, dance acrobatics, contemporary, ballet, tap, singing, drama and boys only dance classes. Dance school with Spanish dance, Latin dance and modern dance (jazz and contemporary) classes in Pakuranga. 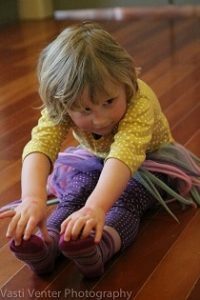 Preschool, ballet and contemporary dance classes in St. Heliers. Dance 4 Everyone provide recreational dance classes for students with special learning needs in Orakei and Rosehill. Dance fitness classes for adults and kids aged 4 to 12, set to hip hop, salsa and reggae music in Albany. Therapeutic programmes which combine creative expression (dance/movement, music, play and body awareness activities) with skill development (communication, self-regulation, motor planning and social interaction) in Mount Albert and Onehunga. Get fit and strong through dance! Students will enjoy an array of dance styles from pop, hip hop, latin, lyrical, country and more... there are preschool dance classes too. This studio is located in Devonport. Acrobatics dance, ballet, contemporary, hip hop, jazz, tap, musical theatre, ladies dance classes, boys dance classes and young adult dance classes. ​Mums and tots classes, preschool dance lessons and children's classes in ballet, jazz, lyrical dance and musical theatre. This studio is in Pakuranga. Preschool, school age and young adult ballet dance classes in Pakuranga. Preschool, school age and young adult ballet classes in Remuera. This ballet school in Ponsonby has specialist preschool classes (from 2 years of age) called ‘babyballerina’. This progresses into the ‘primaballerina’ level for school age kids, teens and young adults. During the stress of examinations, recreational hip hop classes are also available. Ballet, jazz, tap and contemporary and preschool dance classes in Mt Eden and Newmarket. Ballet, jazz, musical theatre, singing, tap and preschool dance classes in Greenhithe, Whenuapai and Hobsonville Point. Ballet, preschool, jazz and contemporary dance classes in Henderson. Ballet, jazz, hip hop, contemporary and preschool dance classes in Manurewa. Hip hop dance school in Pukekohe. Modern jazz, preschool, contemporary, tap, hip hop, ballet, cabaret, body conditioning, acrobatics and competition (solo and group) dance classes in Papakura. Ballet, jazz, open theatre jazz, hip hop, tap and preschool dance classes in Takanini. Ballet, tap, character, jazz, contemporary, hip hop, baby and preschool, musical theatre and acrobatics dance classes in Browns Bay. Preschool, jazz, ballet, tap, hip hop, contemporary and musical theatre dance classes in Forrest Hill. Jazz, hip hop, ballet, contemporary and tap dance classes in Botany. Preschool, ballet, jazz, contemporary, body conditioning, competition dance classes and turns, leaps and tricks dance classes in Howick. Preschool, boys and girls hip hop, competition and ballet dance classes in Howick and Half Moon Bay. Drop-in dance movement therapy for youth and children with special needs in Onehunga. Classical ballet, full-time ballet, contemporary, hip hop and preschool ('kinder kids') creative dance classes in New Lynn, Pt Chevalier and Te Atatu. Creative preschool dance and hip hop dance classes. Preschool, jazz, hip hop, ballet and tap dance classes in Glen Eden. Ballroom, rock 'n' roll and Latin American dancing in Papatoetoe. 'Stretch and flex' and 'movement and mindfulness' dance classes at various Auckland locations including Sandringham, Devonport and Botany. Jazz, contemporary, ballet, musical theatre and hip hop dance classes in the East Coast Bays area. Ballet classes in Torbay and Silverdale. Jazz, preschool, salsa, dance-sport, ballroom, Latin, new vogue, hip hop and lyrical dance classes in Wairau Park. Preschool, ballet, jazz, contemporary, national character, tap and theatre dance classes in Orakei and Greenlane. Preschool, ballet, jazz, tap, hip hop, contemporary, musical theatre, fitness and ballroom dance classes in St Johns. Hip hop street-style dance, national character dance (Pacifica) and contemporary fusion dance classes in Glen Innes. Preschool, jazz, hip hop, contemporary, ballet, stretch, strength and conditioning dance classes in Glen Innes. Fun and educational performing arts and drama classes in Beachlands. Preschool, ballet, jazz, contemporary, hip hop and tap dance classes in Pakuranga. Fun, play and fitness through Zumba dance classes for kids aged 4 to 12 years old. Locations in Ponsonby, Pakuranga, Sylvia Park and Newmarket. Preschool, pilates, ballet, jazz, contemporary and tap dance classes in Howick. Ballet, jazz and aerobic gymnastics for students from 2 and a half years old in Bucklands Beach. Preschool classes in jazz, ballet and rhythm; kids classes in ballet and contemporary dance on Queen Street. Jazz, jazz pop, boys and girls hip hop classes, broadway, ballet, cheerleading, gymnastics, 'baby beats' and dance technique classes in the Grey Lynn/Kingsland area. Jazz, hip hop, ballroom, singing, tap, ballet, musical theatre, contemporary, preschool, new vogue and Latin American dance classes in Mt Eden. Contemporary creative dance classes for kids from 3 years of age in Greenlane. Preschool, ballet and hip hop dance classes in Mount Albert. Irish dance classes for children aged four years plus in Sandringham, Mount Albert and Kohimarama. Dance classes in hip hop, jazz and acrobatics for children 3 years and up in Greenlane. Dance classes in ballet, jazz, hip hop and contemporary for preschoolers and school age children in Greenlane. Ballet, preschool and jazz dance classes in Onehunga. Preschool and school age jazz and tap classes in Grey Lynn.